Dr. Christopher Cendrowski graduated from the Wayne State University and is specialized in Pulmonology. 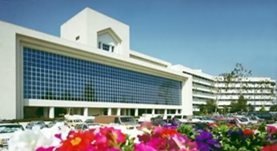 He is also board certified in Critical Care Medicine, Pulmonary Disease and Sleep Medicine and is currently affiliated with the Riverside Community Hospital. During his career, he has also published a writing of medical interest in collaboration with other doctors which is entitled “Imipenem-cilastatin in the treatment of methicillin-sensitive and methicillin-resistant Staphylococcus aureus infections”. Dr. Christopher Cendrowski has contributed to 1 publications. Imipenem-cilastatin in the treatment of methicillin-sensitive and methicillin-resistant Staphylococcus aureus infections. Fan, W., del Busto, R., Love, M., Markowitz, N., Cendrowski, C., Cardenas, J., Quinn, E., Saravolatz, L.; Antimicrob Agents Chemother. 1986 Jan.